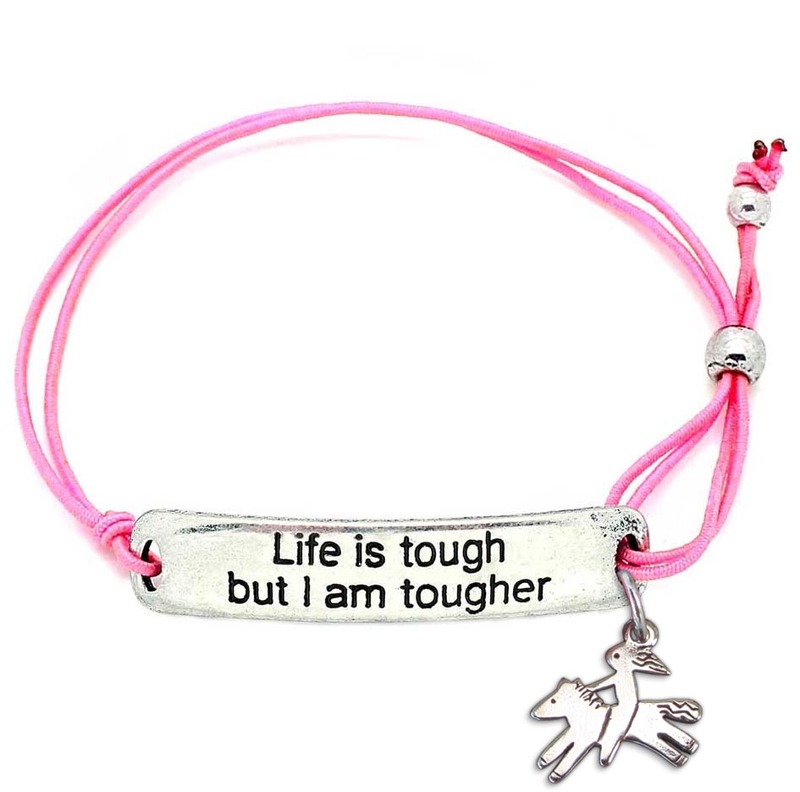 Life is tough motivational bracelet with sterling silver horse charm. You can do anything you set your mind to, no matter how difficult. You never give up. A fashionable piece of jewelry that makes you strong is exactly what you need to keep fighting. This motivational engraved bracelet is constructed with delicate stretch elastic in bubble gum pink with a unique side slip knot so you can adjust for the perfect fit. Super comfortable to wear and fun to layer with your favorite bracelets!